Do you want your children to learn how to handle firearms safely? This is the class for you! 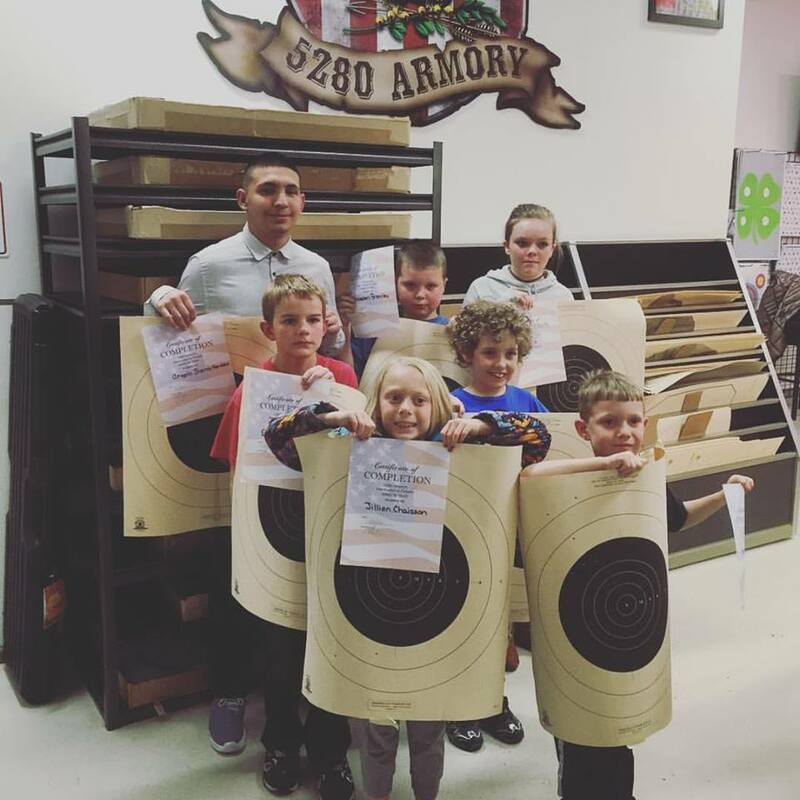 In a fun and friendly environment, we teach your child proper firearm safety, the principles of marksmanship, and take them through their first shots on a .22 caliber rifle. Course goal: Minors will learn and understand basic firearm and range safety including what to do/not do when adults are not present. 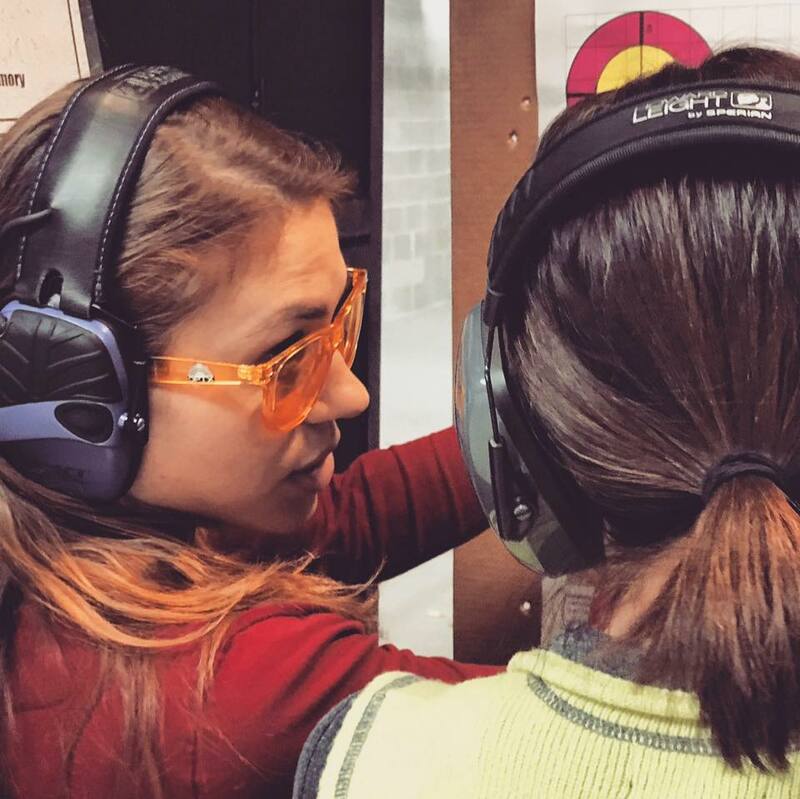 This course also qualifies young shooters for access to The Range at 5280 Armory. After students have graduated this course, they are then allowed the privilege to shoot at our indoor range (with parental supervision). They also become qualified to participate in future shooting competitions and leagues! Do you want to further your child’s education on the proper and safe use of firearms? This is the class for you! 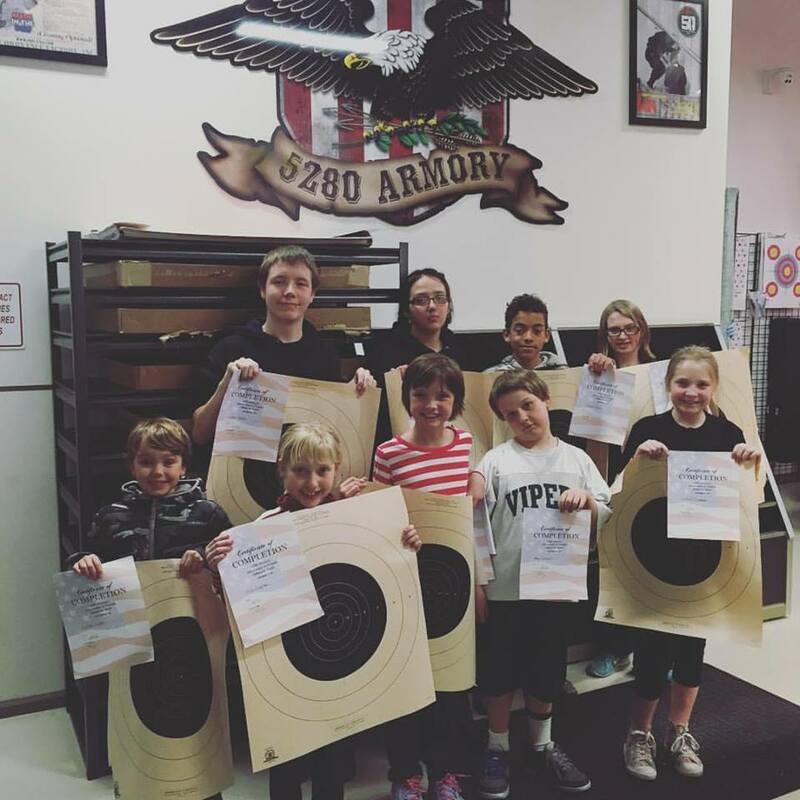 In a fun and friendly environment, we teach your child proper firearm safety, the principles of marksmanship, and take them through their first shots on a .22 caliber rifle in an unsupported position. 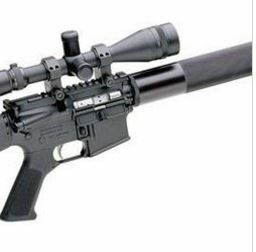 Course goal: Minors will learn new shooting positions on a more advanced firearm. Required equipment: Pen and paper This course is perfect for the first time shooter, or first time buyer! In this course, we begin the platform for understanding the main concepts of a pistol along with proper safety precautions and handling! This course teaches topics such as anatomy of pistols, cartridges, basic functionality and how they work together for the end result! This course prepares the student for future 5280 Armory courses. Course goal: Understand the purpose of the rules of firearm safety. 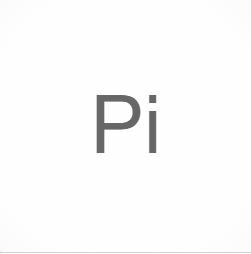 Student will be able to properly identify the parts of both a revolver and a semi-automatic pistol, know the parts of a cartridge, and have an understanding of how pistols and ammunition combine to make a firearm fire. 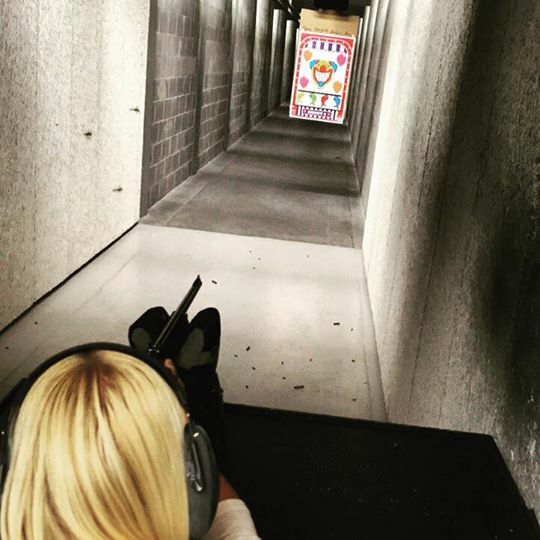 Live fire at our indoor range! 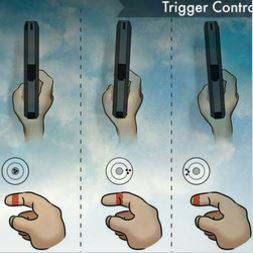 New to pistol shooting? At the end of this class, students are confident in their knowledge of handgun safety and operation. This is a beginner’s course designed to introduce the novice shooter to the utilization of dominate eye, fundamentals of marksmanship, and basic operation. Topics will be covered through class room discussion, skills will be applied through dry fire practice, and lastly students will test their skills on the range with live fire drills. Course goal: Proper application of the fundamentals of marksmanship to safely and accurately hit the target. 5280 Lady: Women’s Introduction to Handguns 5280 Armory’s Women’s Introduction to Handguns is a fun and interactive course specially written for women who are eager to learn the basics of pistols and the sport of shooting! Through this course, students will learn gun safety, the parts and pieces and overall operation of handguns, become able to differentiate ammunitions, develop pistol shooting fundamentals, and become involved in shooting activities! This class will also help to prepare the student for participation in other 5280 Armory courses. This class is instructed by a female instructor. This class specially includes! Month individual pass to The Range! 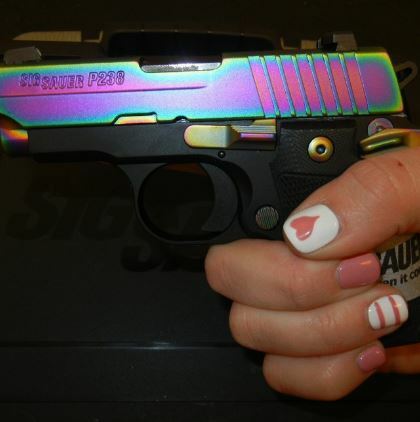 $10.00 voucher off 5280 Armory handgun purchase! 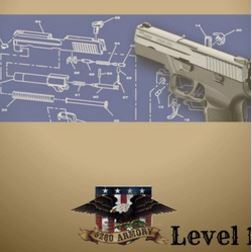 Course goal: Building confidence and in depth understanding of pistols and pistol shooting. Students will grasp a strong level of assurance for future trips to the shooting range, newly capable with the knowledge and ability to properly and safely shoot on their own time. Take the guess work out and try before you buy, or simply try! Take advantage of a $400 value and shoot up to 10 different industry favorites before deciding which firearm is best for you. The advantages of this course are bar none, because not only will students have the opportunity to expand their knowledge on different styles and models, but they are also coached by an instructor to ensure proper grip and fit! This ensures the best learning experience possible and best of all, it’s all inclusive! Course goal: Broadening the students’ knowledge and understanding of different firearm platforms and models. 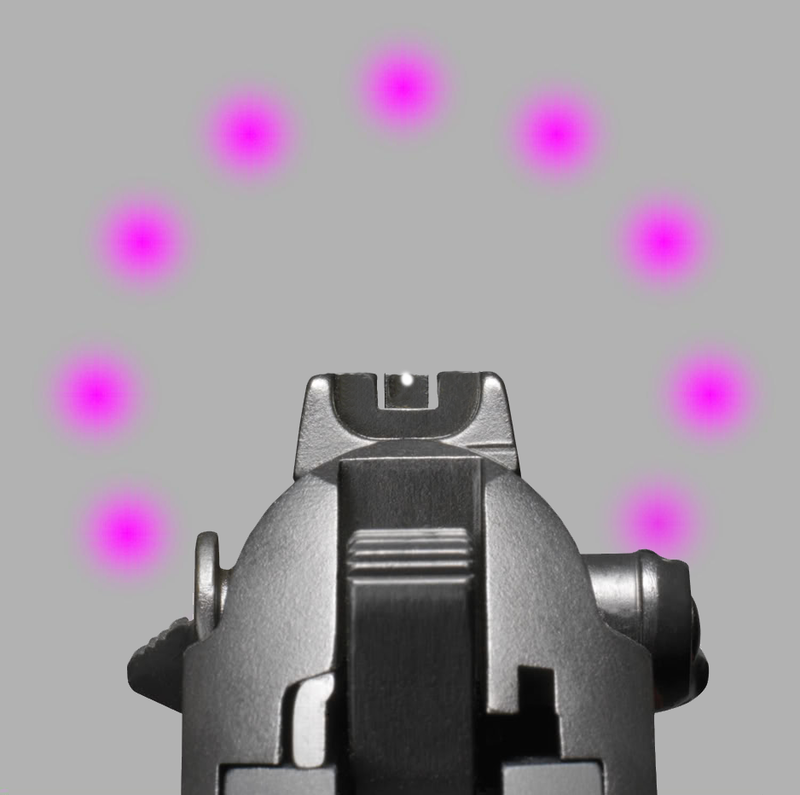 Experiencing first hand recoil management, acknowledging individual fit, and situational practicality. Follow-up Courses *INDIVIDUAL WORKSHOPS WILL BE COUNTED AS A PRIVATE LESSON AT $80 EA. 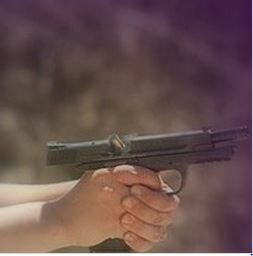 Pistol workshops are ideal for students who have completed Level 2 shooting courses. 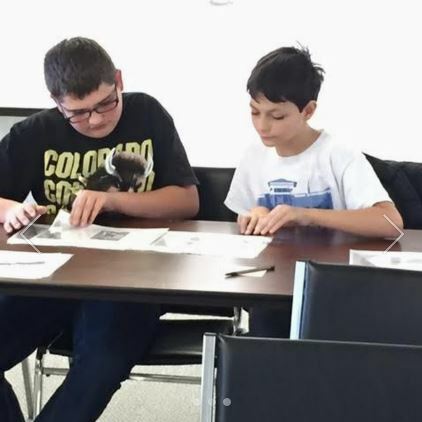 Pistol workshops #1-4 are available to youth students who have completed all 5280 youth courses, 5280 Intro to Pistol (Level 1), and 5280 Basic Pistol (Level 2). The workshop is $40.00 (OR $80 PRIVATE) 1 Hour You will need: -Pistol -Ear/Eye Protection -Target -50 rds. of ammunition -Lane admission -3x2ft black fabric (can be an old t-shirt even!) Everything that you need is also available to rent, except the fabric. 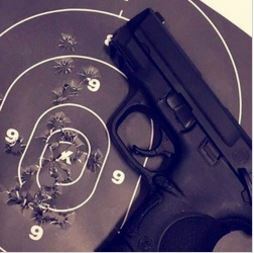 The workshop is $40.00 (OR $80 PRIVATE) 1 Hour You will need: -Pistol -Ear/Eye Protection -Target -50 rds. of ammunition -Lane admission -Snap Caps Everything that you need is also available to rent, except the snap caps. 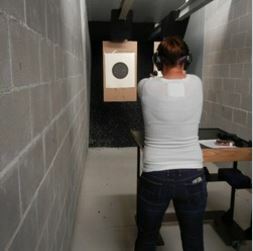 The workshop is $40.00 (OR $80 PRIVATE) 1 Hour You will need: -Pistol -Ear/Eye Protection -Target -50 rds. of ammunition -Lane admission Everything that you need is also available to rent. The workshop is $40.00 (OR $80 PRIVATE) 1 Hour You will need: -Pistol -Ear/Eye Protection -Target -50 rds. of ammunition -Lane admission -Package of 3×5” Index cards Everything that you need is also available to rent, except the index cards. 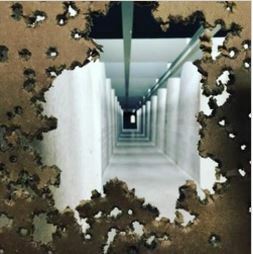 ***This workshop is ideal for shooters who have passed a Level 2 Basic Pistol course, and feel confident in both their experience and accuracy up to 8 yards. 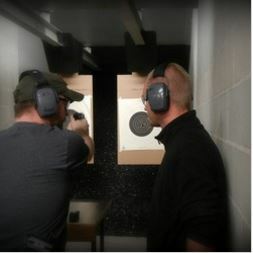 The workshop is $40.00 (OR $80 PRIVATE) 1 Hour You will need: -Pistol -Ear/Eye Protection -Target -100 rds. of ammunition -Lane admission -(3) Magazines Everything that you need is also available to rent, except the magazines. 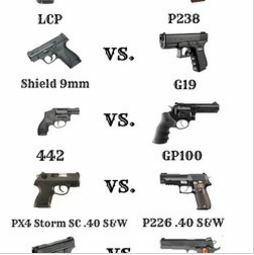 *** This workshop is restricted to students who have successfully completed Level 3 5280 Intermediate Pistol The workshop is $40.00 (OR $80 PRIVATE) 1.5 Hour You will need: -Holster of your choice – no shoulder holsters. -Pistol -Ear/Eye Protection -Target -50 rds. of ammunition -Lane admission -(2) Magazines *No shoulder holsters Everything that you need is also available to rent, except the magazines and holster. Skills will be taught through classroom discussion and applied using dry fire practice. Students will learn presentation, malfunctions and clearing, combat and tactical reloads, one hand shooting, offhand shooting, and how to increase speed and accuracy. Course goal: Student will be able to safely draw and fire their weapon, quickly and accurately, while under stress. They will also be able to clear any malfunction, rendering the firearm operational again. This course is not a live fire course* Students will gain the knowledge of Colorado laws as they apply to the C.C.W permit holders. Proper mindset for every day carry will be discussed. Topics covered include: C.C.W holsters, carry techniques, self-defense ammunition, firearm/caliber choices, situation awareness, where you can/can’t carry, use of deadly force, and response after a drawn firearm. Course goal: Equip the student with the knowledge needed to properly carry a firearm and defend themselves. 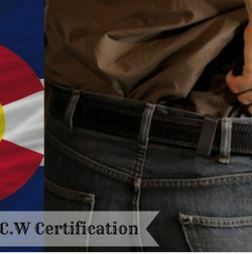 This course is not a live fire course* Students will gain the knowledge of Colorado laws as they apply to the C.C.W permit holders. 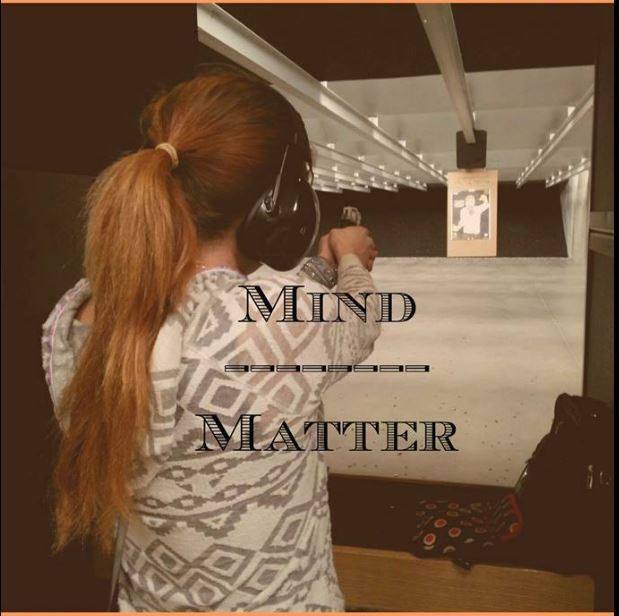 Proper mindset for every day carry will be discussed. Topics covered include: C.C.W holsters, carry techniques, self-defense ammunition, firearm/caliber choices, situational awareness, where you can/can’t carry, use of deadly force, and response after a drawn firearm. This class is a women only course, and addresses specific issues women face every day in regards to personal safety and concealed carry. This class is instructed by a female instructor. Course goal: Equip the student with the knowledge needed to properly carry a firearm and defend themselves. 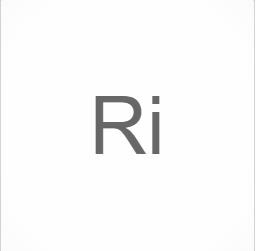 New to rifle shooting? At the end of this class, students are confident in their knowledge of rifle safety and operation. This is a beginner’s course designed to introduce the novice shooter to the utilization of dominate eye, fundamentals of marksmanship, basic operation, and cleaning and maintenance. Topics will be covered through class room discussion, skills will be applied through dry fire practice, and lastly students will test their skills on the range with live fire drills. Course goal: Proper application of the fundamentals of marksmanship to safely and accurately hit the target. Firearm safety and training for youth students 17> years old. 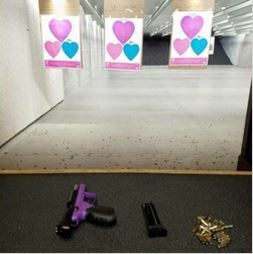 Firearm safety and training exclusively for women. Youth students (17>) must have successfully completed 5280 Youth Program and a Level 1 Course. Follow our 5280 Lady page! Firearm safety and training for all! Youth students (17>) must have successfully completed the 5280 Youth Program. Continued education in firearm safety and training for all! Entry Level Courses Focused on Basic Operation, Fundamentals Building, and Overall Self Improvement. 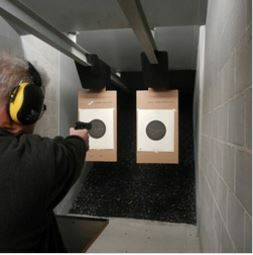 Intermediate Level Courses Which are Designed to Take the Experienced Shooter to the Next Level, Increasing Speed and Delving into Defensive Techniques. Specializes in building competence and confidence in firearms.